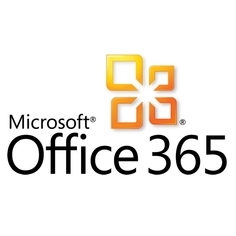 Students and employees can access an online version of Microsoft Office for free through their email login. They may also download five free copies of the full version of MS Office at home. The Rutherford County Schools BYOD program allows students to use their own personal electronic devices, such as iPods, tablets, or laptops at school for academic purposes. At the discretion of classroom teachers and principals, personal devices can be utilized as a supplemental part of students' daily learning experience. Rutherford County Schools is committed to ensuring students are provided an environment which maximizes the integration and use of technology by students and staff as part of their daily educational experience. BYOD allows students additional opportunities to adapt, manage, and participate in a technological world, and helps fulfill the mission statement of our system of empowering today’s students to grasp tomorrow’s opportunities. Rutherford County is allowing all 6th – 12th grade students to bring their own technology devices to their school campus to be used for educational experiences and activities. All students and staff are expected to complete the RCS Acceptable Use Policy (AUP) prior to participating in any online activities with either their own device or with school-purchased technology. If you have questions or need more information about technology at Riverdale High School, contact Christian Horner, Instructional Technology Coach by clicking HERE.